In compiling these notes it is apparent that there are few commentaries from 2nd Norfolk (although the remarkable survival of the diary of Captain A. J. Shakeshaft is an invaluable account of the captivity following the surrender at Kut), and in particular there are few observations from the ‘other ranks’. Canoes are indispensable to the Ma’dan (marshmen)… They call their canoes by the generic term mashuf (pl. mashahif). 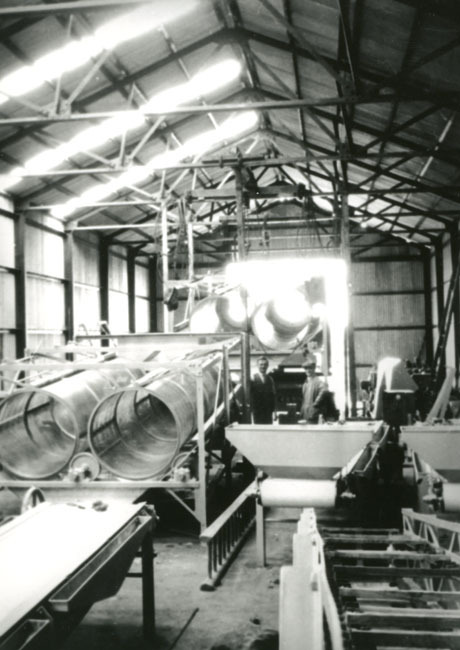 A mashuf is made from planks, carvel built, flat-bottomed and coated outside with bitumen (jir)… The outer planking is carried forward and upward to form a long, thin, tapering stem (‘anj) which parts the reeds as the canoe is forced through the marshes… Different types of mashuf are chalabia, barkash, kada and tarada… The Ma’dan always prefer to punt rather than paddle their canoes, since they then travel faster and with less effort… There is no wood in the marshes and boats are made of imported wood. The Marshmen of Southern Iraq, The Geographical Journal, September 1954. During the flood season from February to June, water, varying in-depth from one to four feet, lies between Basrah and the further shore, two methods of approach are in use across this lagoon, one by wading across 6 miles and landing near Old Basrah, whence troops and convoys have to march another 4 miles to reach Shaiba; the other by means of native boat, known as “bellum,” which is punted by two men and carries 8 to 10 armed men or their equivalent in stores and ammunition. Despatches from General Sir John Eccles Nixon, K.C.B., Commanding Force “D,” to the Chief of the General Staff, Simla, No. 168-40, dated Basrah,6th May, 1915. In the foreground of the postcard above is a small canoe, a chalabia, behind which are four canoes of the barkash kind, one of which has a canopy to keep off the sun. 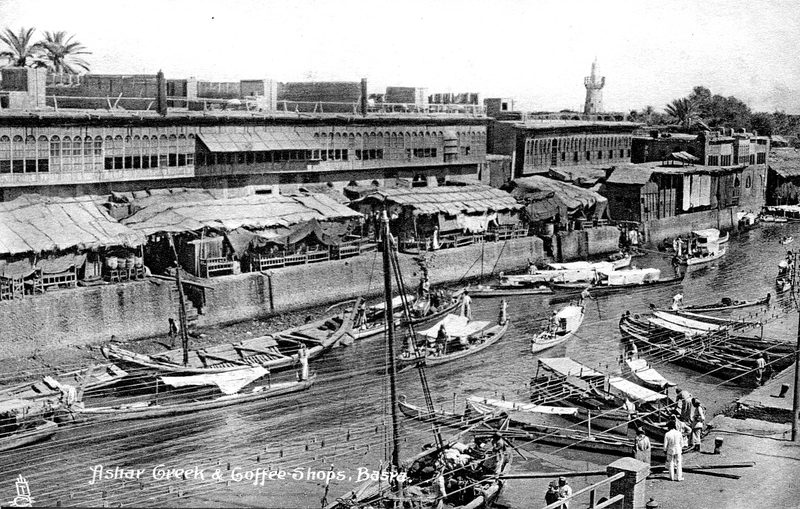 To the left is a large sailing vessel, an ‘aniya, which were used by the local people for collecting reeds and reed mats from the marshes, but employed by the British as water taxis to and from ships in the Shatt al-Arab. Postcards published in Basra were usually printed either in England or in Bombay (Mumbai). The one below bears the F.P.O. 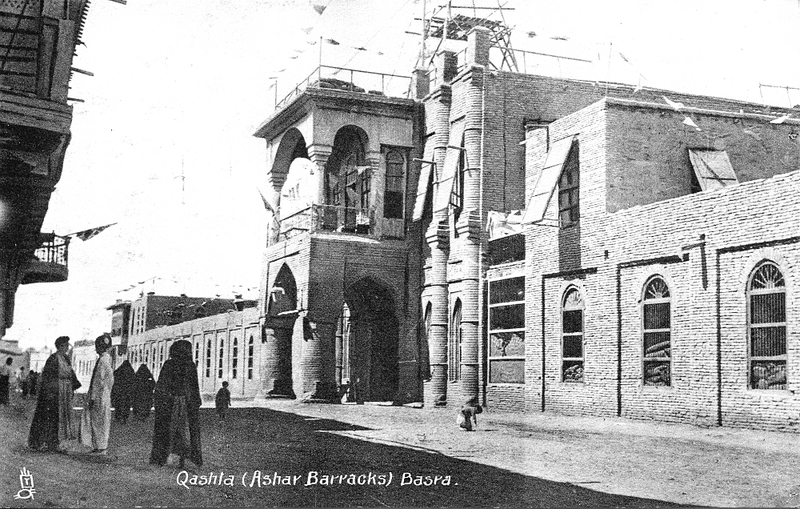 (field post office) cancellation for Basra, and O.A.S. (on active service) ensures that it didn’t need a stamp to be sent home. 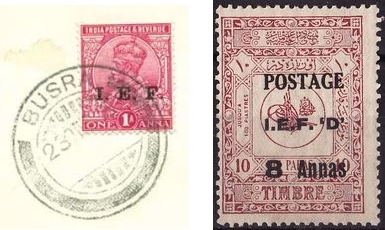 When required, stamps were imported from British India and overprinted I.E.F. Later in the war, I.E.F. ‘D’ with Indian currency values was sometimes overprinted on Turkish stamps. Mail between Britain and Mesopotamia was sent via Bombay. The Ashar is one of the principal waterways of Basra and the artery of the Shatt al-Arab. It relinquished its palms, walls, and trees to make way for the street that the [Ottoman] governor Sulaeman Nazif built in 1909… The coffee houses overlooking the Ashar River had become linked in a chain of wooden-filigree balconies and were the first destination for people arriving from the distant villages down the Shatt al-Arab. Basrayatha: Portrait of a City, Mohammed Khudayyir, (2007) – this is a moving account of the author’s home city, a lyrical panegyric for a place whose name is synonymous to British ears only with war. But the most fascinating sight of all is Ashar Creek, the main thoroughfare, as crowded with boats as Henley at a regatta. The creek runs between brick embankments, on which stand a series of Arabian cafes, thronged with conversational slow-moving men who sit there smoking and drinking coffee by the thousand. It is a wonderful picture from the wooden bridge with the minaret of a mosque and the tops of the tallest date palms for a background. The problem of potable drinking water now became very pressing. There was quite an epidemic of dysentery amongst our Pioneers who were constantly occupied, when not fighting, with making roads, bridges and ramps. Water for all purposes had to be drawn from the river and this meant that, in practice it was collected from the muddy tidal river bank, where it was more polluted than would have been the case further out… We opened a large War Hospital in the Sheik of Mohammerah’s palace. 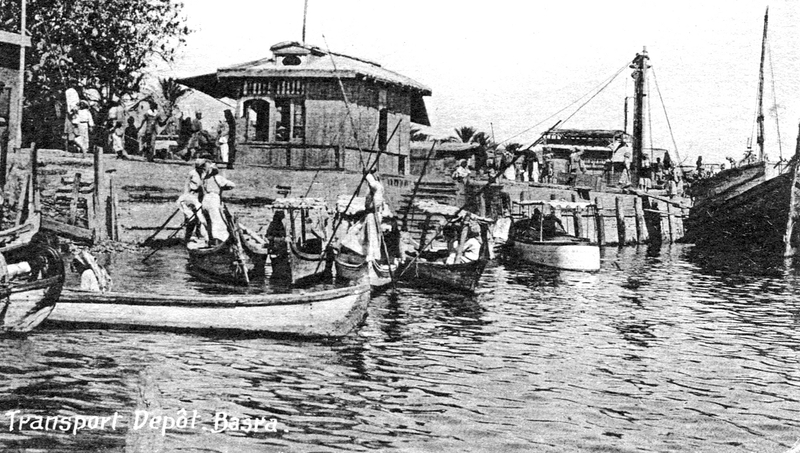 The main town [of Basra] is notoriously insanitary; the streets unpaved, strong faecal odours abound everywhere, while the Ashar canal serves the lower orders at once for drinking water, washing, and as a receptacle for filth and sewage of every description. However, the Handbook also makes the point that the Karun River and the Shatt al-Arab provided a comparatively pure water supply, which bears out Spackman’s comment. My regiment was at first accommodated in a fine large building but as it turned out to be a mosque we moved elsewhere; and this from Robert Palmer: They use ships here as barracks and hotels, very sensibly seeing that there are none fit for habitation on land; while being about 400 yards from either bank we are practically free from mosquitoes. 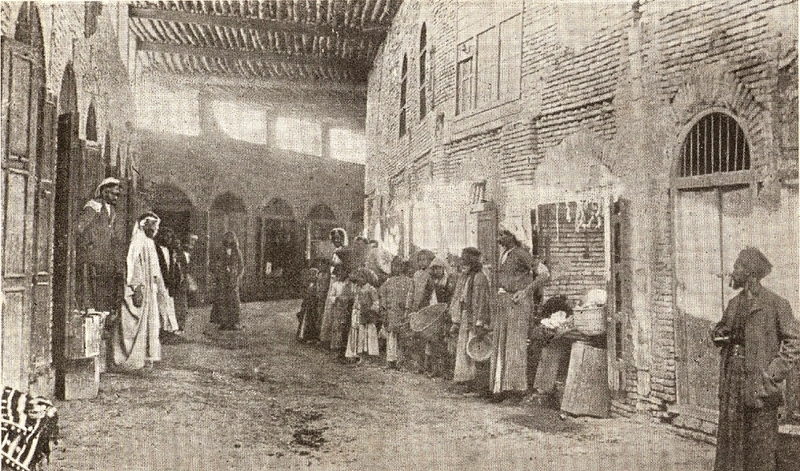 On their return from Qurna, the 2nd Norfolks, having been in tents, were sent to the Ashar Barracks which had been taken over from the Ottoman Navy. 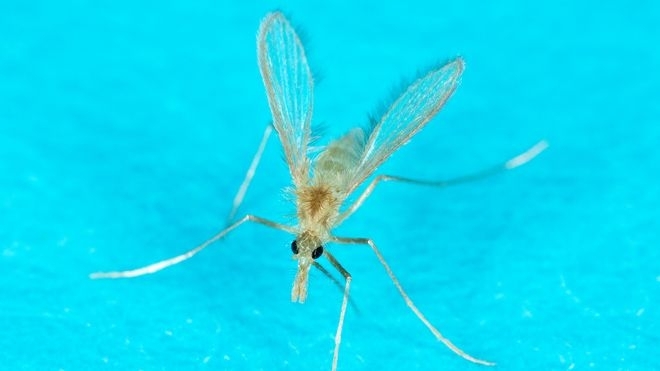 In 2012 the US Department of Agriculture reported that sandflies were biting troops in Iraq as many as 1000 times in a single night, and that there was still no cure, no vaccine, and no medicine for the disease Leishmaniasis. Charles Townshend (When God Made Hell, 2010) concluded: Dust and heat would define the Mesopotamia experience for hundreds of thousands of troops. …the murderous folly of military authorities… there was no food for the men on board. Consequently they had to load kits, etc., and embark on empty stomachs. Well, hungry but punctual, we embarked at 10 a.m. 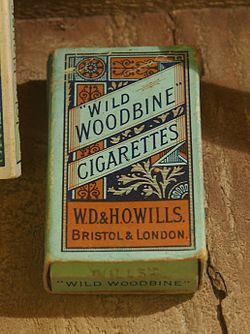 It was 102 in my cabin, so you can imagine what the heat and glare of 150 men in an open barge was… Then came disembarking, unloading kits and all the odd jobs of moving units which all had to be done in a furnace-like heat by men who had had no food for twenty hours. Nobody could complain of such an ordeal if we’d been defending Lucknow or attacking Shaiba, but to put such a strain on the men’s health newly arrived and with no pads or glasses or shades gratuitously and merely by dint of sheer hard muddling is infuriating to me and criminal in the authorities – a series of scatter-brained nincompoops about fit to look after a cocker-spaniel between them. Many of the soldiers of the time would have known their Bible or at least some of the stories from the Old Testament, and might have concluded that they needed ‘the patience of Job’ in the conditions in which they found themselves. The Old Testament tells us that, Satan… smote Job with sore boils from the sole of his feet unto his crown (Job 2:7). We also learn that Job lived in the Land of Uz. 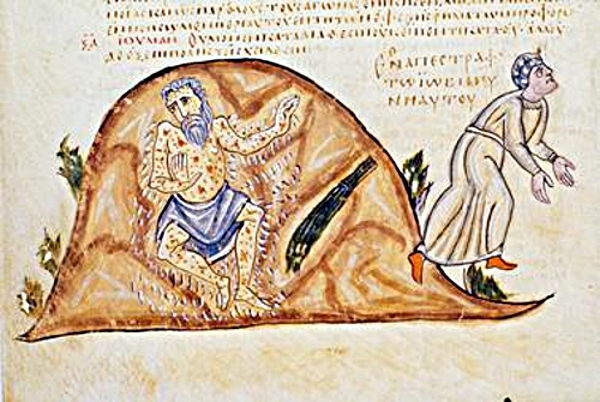 Scholars are divided about the location of Uz; perhaps in Arabia, perhaps as far north as Uzbekistan: but the so-called War Scroll from the Dead Sea describes Uz as ‘East of the Euphrates’. With which, this post comes almost full circle from where it began on 5 March, 2015. Oh! and then there were the snakes, and the scorpions: but they were more common in the desert than in the marshes, except in the dry season. So, their description awaits a later opportunity. Medical arrangements, too, were quite shocking, with wounded men spending up to two weeks on boats before reaching any kind of hospital: an issue which will merit attention as the campaign progresses.